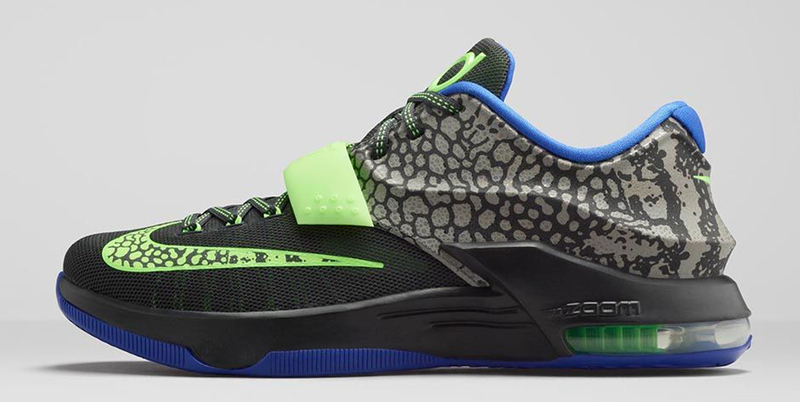 Find out how you can cop this upcoming KD 7 on NikeStore. Drawing inspiration from Kevin Durant's love for animal print comes this all-new colorway of his current signature shoe. 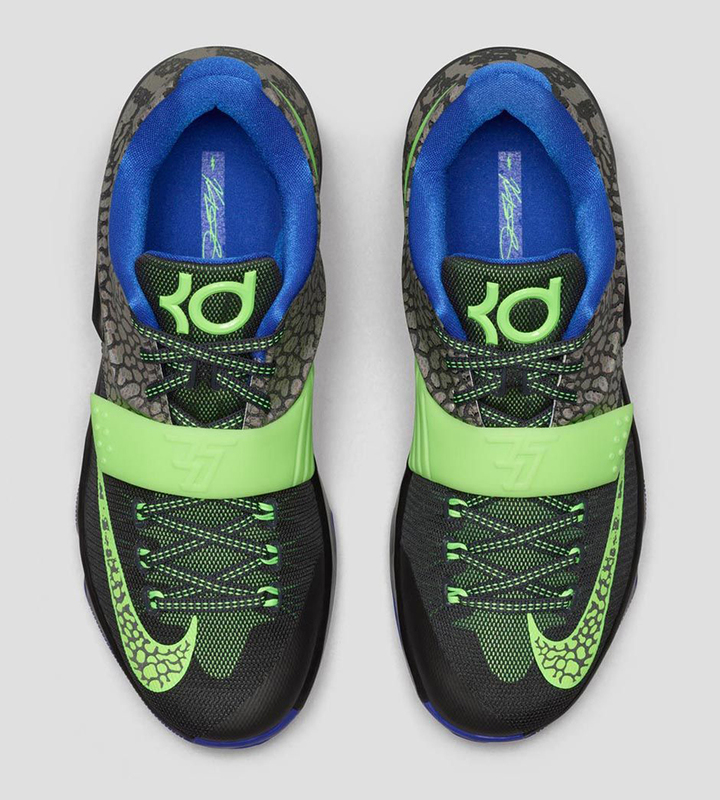 Known as the 'Electric Eel' edition, this Nike KD 7 comes in a metallic pewter, flash lime, anthracite and lyon blue colorway. They feature a pewter-based upper, with a hologram-like build comprised of three components: reflective 3M, eel-inspired prints and rich textures. Black wraps around the front of the sneaker as well as the tongue and midsole. Other details include flash lime and lyon blue accents along with the eel-inspired graphic adoring the Swoosh on the toe. 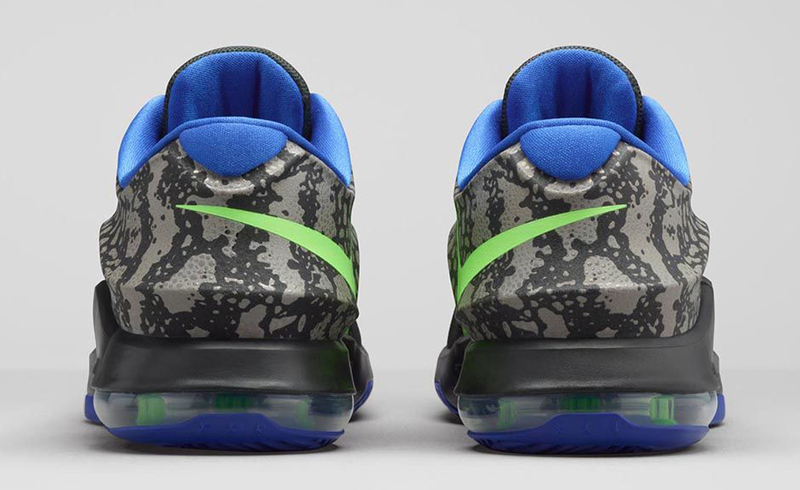 The 'Electric Eel' KD 7 will be available at select Nike Basketball retailers worldwide as well as on Nikestore at 10am EDT on Thursday, March 19.